CapitaLand Mall Trust: Westgate Fixed; JCube and Lot One You’re Next! 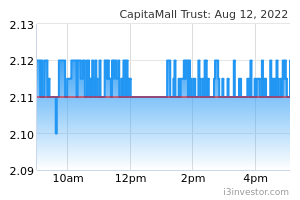 CapitaLand Mall Trust (CMT) reported its 4Q18 results which met our expectations. 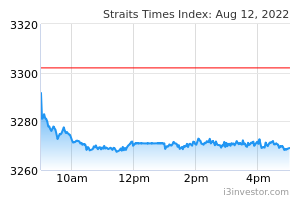 Gross revenue and NPI rose 4.7% and 4.3% YoY to S$180.5m and S$124.4m, respectively. DPU increased 3.1% YoY to 2.99 S cents, as management had released S$9.7m of its taxable income available for distribution to unitholders which was previously retained (4Q17: S$7.6m released). Excluding these effects, we estimate that CMT’s adjusted DPU growth would have been more stable at +1.5% YoY to 2.73 S cents. For FY18, CMT’s NPI rose 3.2% to S$493.5m, while DPU of 11.50 S cents represented growth of 3.0% and this accounted for 102% of our forecast. Operationally, CMT registered positive rental reversions of 0.7% for the full-year, while occupancy remained high at 99.2%. Although shopper traffic fell 0.9%, tenants’ sales psf rose 0.5%. Occupancy cost remained very healthy at 18.4%, which was stable from FY17 (18.5%). Management highlighted during the analyst briefing that it remained open to exploring inorganic growth opportunities overseas but this would likely be opportunistic in nature for now. Back home, CMT appears to have turned Westgate around, with clear improvement in operating metrics observed. First, rental reversions for Westgate came in positive at 0.6% for FY18 (9MFY18: -0.5%). Secondly, CMT highlighted that Westgate achieved the highest tenants’ sales growth in its portfolio. Management pointed out that Westgate had actually performed better than initial expectations when they acquired the remaining balance of the mall which it did not own. Besides the possibility of expansion overseas, CMT remains very much focused on Singapore, and will seek to unlock value within its portfolio, such as AEIs, redevelopments and possibly even divestments. For now, the lower hanging fruits would be the repositioning of JCube, which has struggled, and potential AEI of Lot One Shoppers’ Mall. While occupancy for JCube stood at 91%, management alluded that this can be further improved. For Lot One, planning is already at an advanced stage, with the aim of carrying out the AEI in phases rather than closing the mall. We roll forward our valuations, lower our cost of equity assumption from 7.3% to 7.0% and lift our fair value estimate from S$2.12 to S$2.25.